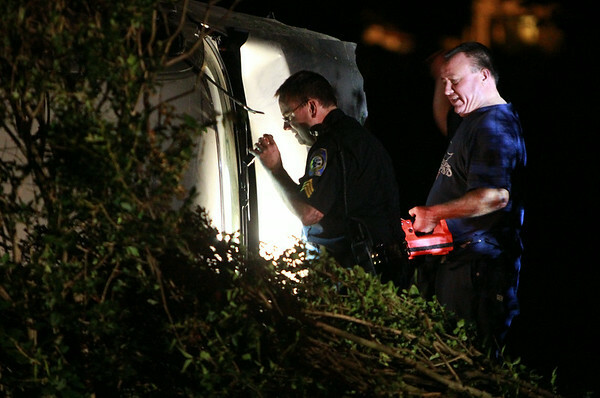 A few members of the Salem Police Department peer into the cabin of the pickup truck which flipped over and destroyed the fence of Greenlawn Cemetery along Appleton Street on Thursday morning. DAVID LE/Staff photo. 8/7/14.